Here’s a fun one for the pre-k-kindergarten set. Neil Gaiman, Newbery award-winning author of The Graveyard Book, is back with a very cute picture book about a little panda that has to sneeze. What really makes this book, though, are the incredibly colorful and rich illustrations by Adam Rex, reminiscent to me of Pete & Pickles, a real favorite of mine and with older students in my library. When Chu sneezes, bad things happen. Chu visits the library with his mom and looks like he needs to sneeze. When he visits the diner with his dad, he looks like he needs to sneeze. My students appreciated my theatrical “almost sneezes” and then laughed when adorable Chu said “No,” he didn’t have to sneeze. Then, Chu and his parents visit the circus – you know – then one with the really big tent? Chu tries and tries to tell his folks, who are enthralled by the circus, that he needs to sneeze. No one listens. Oops. That sneeze not only knocks down the circus tent, but also everything in the library and diner too, much to the delight of my students. 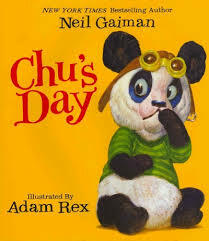 If you’re looking for a hit with your younger students, you’ll enjoy Chu’s Day. This is a lesson I’d wish I’d done earlier in the year, because the book I chose to feature in this lesson is about a snail who is itching to travel and see the world. That’s just the sentiment that I want to inspire in my own students. This week in our library journey, my first graders and I became whales and traveled the world’s oceans. We finished our trip by reading the fabulous book, The Snail and the Whale by one of my favorite author’s, Julia Donaldson, author of Room on the Broom. It was very fun to become whales. Using the Oceans Alive of the Blastoff! 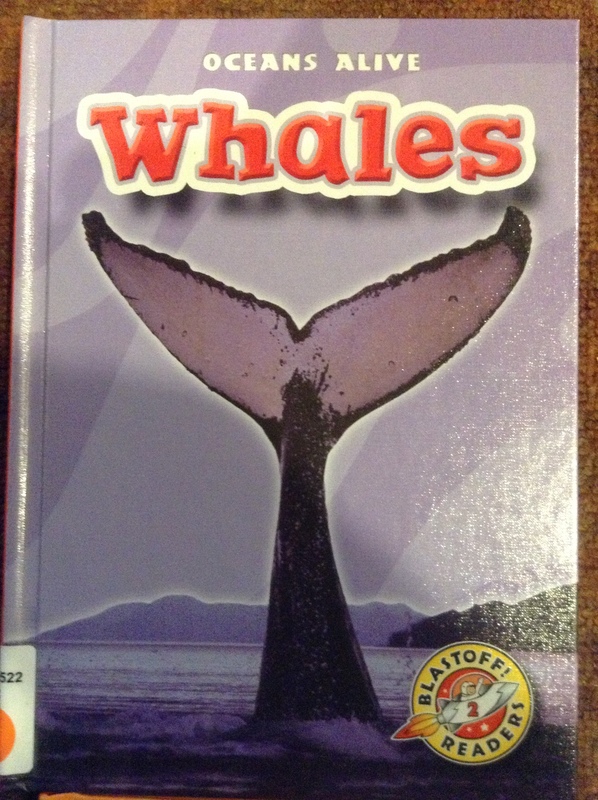 Readers series, published by Bellwether Media, we learned about whales. Oceans Alive We held up our arms with our hands together like whale tails and swam by moving our big whale tails. We learned that our hands were called flukes and loved breaching and blowing air out of our blow holes. We put out our arms and learned that whales steer and stop with their fins. If time permits, this is also a perfect time to learn about oceans. Using another set from the Blastoff! 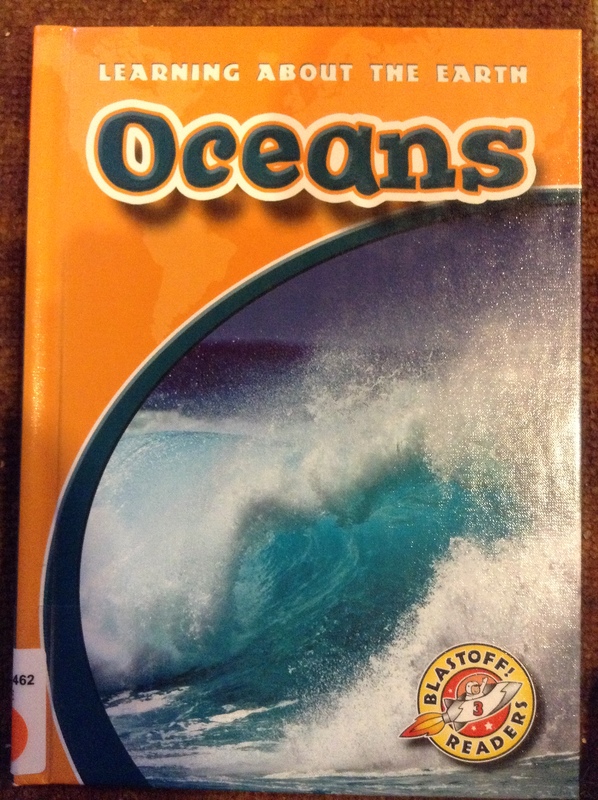 Reader series , Learning about the Earth, we learned that oceans cover most of the earth, that ocean water is salty, that there are different kinds of coasts and talked about the concepts of shallow and deep and different animals that live in the ocean. In the Snail and the Whale, a snail with an “itchy foot” wants to travel through the world’s oceans and decides to hitch a ride on a whale. Together, they travel until one day, the whale gets confused by motor boats in a bay and is beached on a shore. The quick thinking snail goes to a school and leaves a message on a classroom chalkboard, “Save the Whale!”. Quickly, students, teachers and the whole town come to save the whale. The whale is saved. Together the Snail and the Whale return to the rock where they found each other only to take off again with all the snails on the whale’s tail, ready to see the world. Update: This year, I used books but added a second week of whale books with a great, suspenseful book called Humphrey the Lost Whale, the True Story of Humphrey, a humpback whale who swam under the Golden Gate Bridge into San Francisco Bay and up the Sacramento River in the 1980s. My students absolutely loved this book by Wendy Tokuda. Another companion book is Baby Beluga, the “song” book by Raffi. We read and sing Baby Beluga every year in kindergarten. so it’s nice to bring it back while we’re learning about whales. I was so happy to find this book at my local bookstore. I knew it would be a hit the minute I saw it. I love Julia Donaldson’s book, Room on the Broom, also illustrated by Alex Scheffler. Like the rhymes in Room on the Broom, the rhymes in this book are great, not forced or tiresom e, and Alex Scheffler’s illustrations, wonderful. It’s a story of curiosity, adventure and friendship that you won’t want to miss. Be sure to check out my lesson idea using this book. The Snail and the Whale is about a snail who sits on a rock with lots of other snails but dreams of traveling the world. The other snails mock him, but this snail is determined to go on an adventure. He writes “Ride Wanted Around the World” on the rock. Soon, a whale arrives, offering to take the snail around the world. Together they travel the oceans, seeing icebergs, “fiery mountains” and “golden sands”. Until one day, confused by speed boats in a bay, the whale is beached. The snail, though small, thinks of a plan. He makes his way to a school where he writes “Save the Whale” on a chalkboard. All the school children mobilize the town’s firefighters to help the whale swim back to sea. 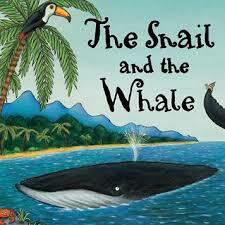 Once saved by the children, the Snail and the Whale return to ocean and the rock where their journey started. Once there, they tell the story of their adventures to the other snails. The book closes with the whale once again leaving the rock, but this time, with all the snails on his tail. My first graders really loved this book. I think it’s great for read alouds to kindergarten through second grade classes and even younger readers at home.